Our featured artist is Steve Prachyl. ART PROFESSIONALS OF TEXAS is a society of artists founded in Dallas, Texas, and established in February of 2012. APT’s objectives have been to provide excellent opportunities for its juried artist members; to cultivate a sound relationship with the buying public; to support one another in evolving our careers as artists; and to elevate visual art in the public eye by maintaining the high standards and pursuit of excellence upon which Art Professionals of Texas was founded. 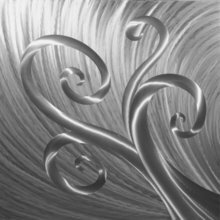 We encourage you to browse through our online Member Gallery to view or purchase the work of some very fine artists, who are apt to be ready and able to help you beautify your environment with original fine art work!